Mix marmalade and chopped bacon in microwave safe bowl. Melt down in microwave until it is of a pourable consistency. Divide equally. Pour first half into a 10 inch cast iron skillet; spread evenly. Place frozen rolls in skillet and let rise according to package directions. Bake rolls according to directions. Brush hot rolls with remaining marmalade/bacon mixture. Sprinkle rolls with chopped fresh chives. 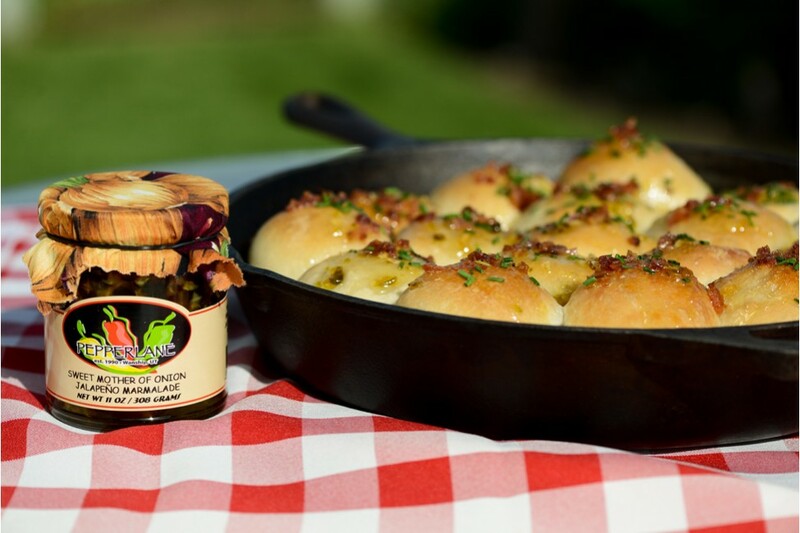 The combination of our sweet onion marmalade and savory bacon is a surprising treat for the taste buds and a mouthwatering presentation fresh out of the oven!